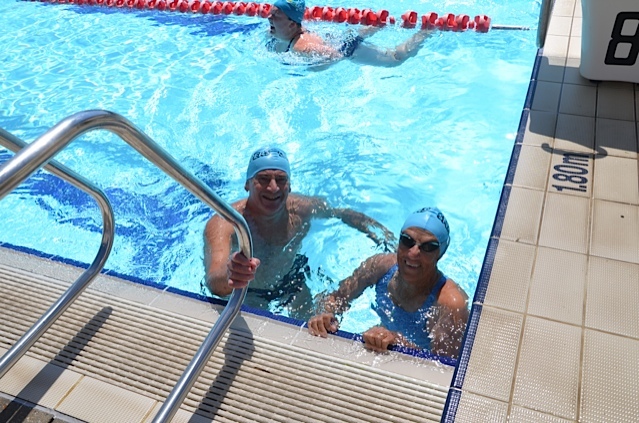 The Vorgee Endurance 1000 (e1000) program is a swimming program designed to encourage people to complete swims in distances 400m, 800m and 1500m and durations up to 60 minutes in a variety of strokes, and at the same time earn points for our club. These swims are completed over a calendar year. The program is entirely optional and points are awarded according to age group and gender. Taking part in the program will enable swimmers to build aerobic fitness. The total number of swims that can be completed is 62. 1 x 1500m swim in each of the following strokes – Freestyle, Backstroke, and Breaststroke. 1 x 30 minute, 1 x 45 minute, 1 x 60 minute swim in each of the following strokes – Freestyle, Backstroke, and Breaststroke. Completed swims are entered into the MSWA results portal by the Assistant Club Recorder at the end of each quarter. Swimmers can choose to complete as many swims as they wish. Points are gained for the completion of each swim. These are added to points gained by fellow club members and contribute to a total point score for each competing club. The highest scoring club will then be declared the Vorgee Endurance 1000 Champion Club. Blank E1000 sheets and cover sheets for completion are available from the E1000 file in the Stadium Masters cage for swimmers without access to computers. Full sets of Endurance 1000 swim sheets Long Course are available here. Full sets of Endurance 1000 swim sheets Short Course are available here. Please use the Stadium Masters cover sheet to summarise your completed swims. When completing swims, please ensure that the timekeeper (who should be a Masters club member) records a time for each 100m in a long course pool and each 50m in a short course pool. The sheet should be dated and signed clearly by the timekeeper. Sheets should be kept in your own swimming file and, at the end of each quarter, left in the club cage for collection by the Assistant Recorder. Once the Assistant Recorder has uploaded the times onto the E1000 portal on the Masters Swimming Website, swimmers are encouraged to check for errors and advise the Assistant Recorder.